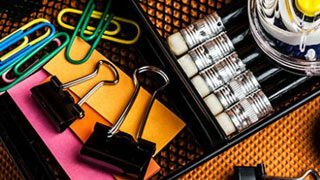 A leading office supply retailer specializing in the B2B market was looking to focus on customer lifetime value. Their CEO founded the company on over-and-above service to clients—something they delivered on month after month. They were naturally drawn to ROI Revolution, which maintains a similar client-focused philosophy. While working to maintain clients for life, their company wasn’t seeing the growth in new clients they desired. 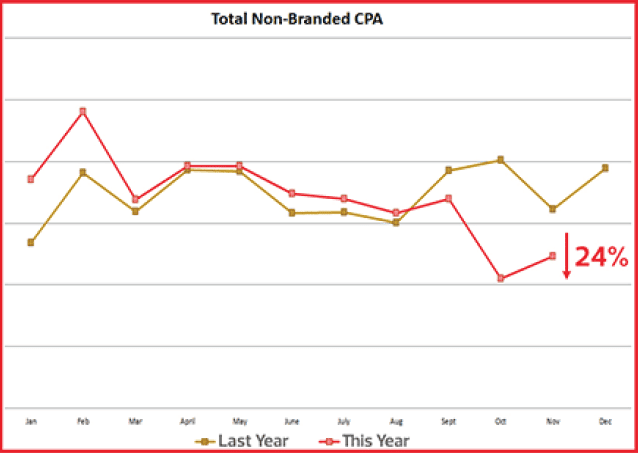 Their CPA target was being hit in AdWords, but new accounts weren’t entering their pipeline fast enough. 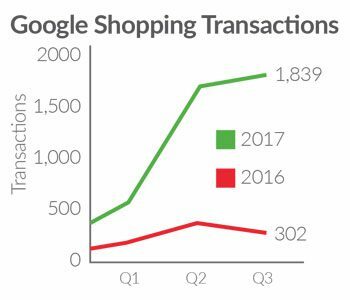 Even with tens of thousands of SKUs in their product feed, fierce competition in the space stymied the efforts of traditional paid search management methods. • Daily deep-dive analysis of product group performance using our ARCS “Shopping Over Time” reporting tool. 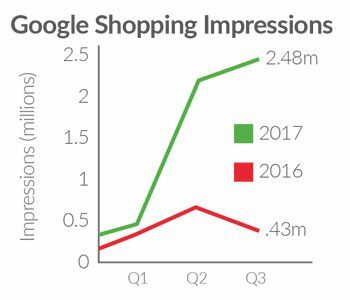 • Ongoing granular build-outs of Google Shopping campaigns and ad groups using PUSH, our feed management platform. 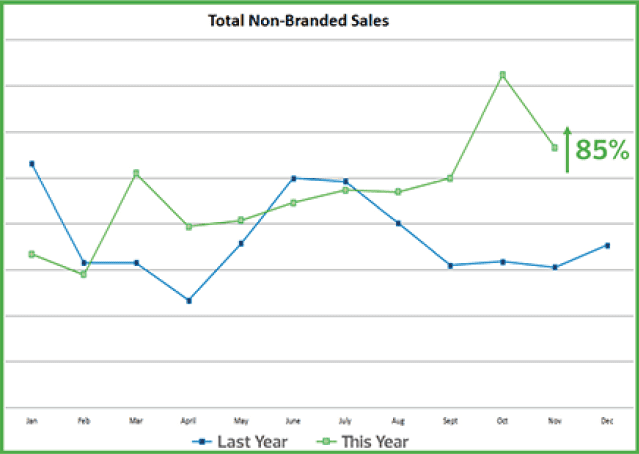 • Weekly discussions to identify unprofitable products. 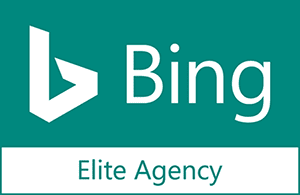 • Continuously monitoring search query performance using ARCS and EDGE reporting to remove poorly performing products and keywords. Our diligent work and technology-enabled insights produced some incredible wins for the client. 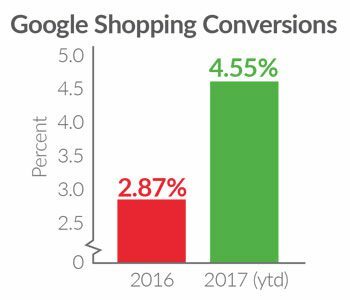 They saw an 85% Y/Y growth in new orders from their Google advertising with a 24% decrease in CPA! 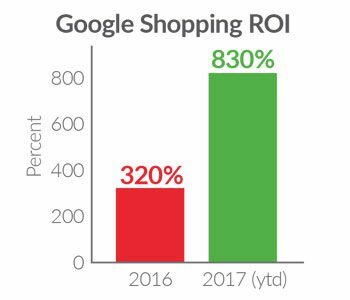 With a strong focus on product feed optimization and an emphasis on solid reporting, our client was able to accurately use analytics data to profitably grow their Google advertising revenue.